There are very few pet stores where you won't find fire-bellied toads for sale. 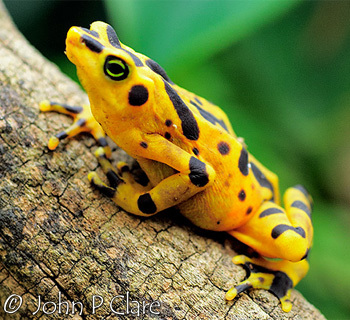 Generally, this means Bombina orientalis, the Oriental or Chinese Fire-Bellied Toad, the species most often referred to as simply “Fire-Bellied Toad”. 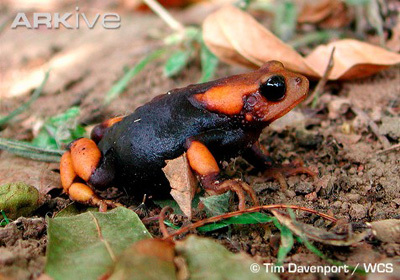 It is a primitive frog of the family Bombinatoridae, suborder Archaeobatrachia, and a native of northeastern Asia. There are 8 species in the genus Bombina, all of which are semi-aquatic and possess tubercles (wart-like bumps) that cover the skin dorsally. They also possess triangular pupils. Only 4 of the 8 species of Bombina are seen in captivity.